Malaysian Green Technology Corp expects over 50 green projects to be approved by financial institutions under the Green Technology Financing Scheme (SPTH) next year, compared with 30 this year. Acting CEO Ahmad Zairin Ismail said banks were now more keen to approve green projects as the Government, through the Finance Ministry, was also ready to promote this line of business. “So far, RM805million worth of projects have been approved by over 21 participating banks in the country, while over RM250million worth of loans have been disbursed,” Zairin told reporters at the media sneak preview of the International Greentech and Eco Products Exhibition and Conference Malaysia (iGEM) 2012. He said the time taken by banks to approve green projects has also decreased significant from over a year to between 6 weeks and 2 months. Under the funding scheme, between RM10million and RM50million is allocated for a project, depending on the criteria. The iGEM 2012, to be held on 10th - 13th October 2012 at the Kuala Lumpur Convention Centre, is expected to attract over 100,000 visitors. This year is the 3rd of such exhibition and is themed Greentech for Growth. The objective is to help push the adoption of green technology to deliver a double impact of sustainable economic growth and to address the environmental and energy security issues. v) ICT, eco-products and related services. 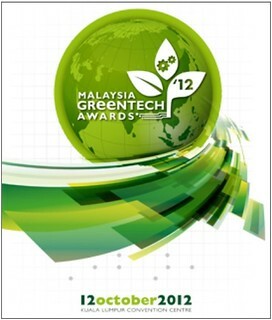 TheGreenMechanics: Last year the event managed to generate sales leads of about RM1.35billion. Let's hope this year would attract better volume. I want to visit such exhibitions! that's the way forward to avoid going nuclear.